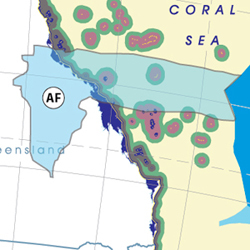 The CSIRO has regions for projecting the impact of Climate Change. See https://www.climatechangeinaustralia.gov.au/en/climate-projections/futur... This state, Charters State (AF), is one of the clear projections in a CSIRO cluster called "Monsoon North region". CSIRO's Monsoon North region coincides exactly with BloggerMe's K,J,H,G,F,E,D,C,AF. STATES would be abolished and more power given to city and regional councils in a two-tier government under a radical proposal to shake up the nation's economy. Under the controversial plan, Queensland would split into six regions and shed the state government in favour of a bigger federal parliament, five city and 19 regional councils nationally, the Courier-Mail reports.
.@theqldpremier it is about time you put down your scalpel before you do any more damage to the health services of Townsville.